Department of Microbiology, Hindusthan College of Arts and Science, Coimbatore - 641004, Tamil Nadu, India. ABSTRACT: The present research focuses on the screening of phytochemicals from an Indian medicinal plant Diospyros melanoxylon Roxb. by both qualitative and quantitatively and biological activities. Different solvent extracts were prepared and used for this study such as hexane, chloroform, methanol, ethyl acetate and aqueous. Preliminary screening of phytochemicals revealed that the methanolic extract comprises alkaloids, carbohydrates, flavonoids, glycosides, phenols, saponins, tannins, terpenoids and triterpenoids than the other extracts. Further, in-vitro antibacterial activity was studied by well diffusion method using four different human pathogens viz. Acinetobacter baumannii, Escherichia coli, Salmonella typhi, and Staphylococcus aureus. Followed by, 3 different in-vitro antioxidant activities were performed in 5 different plant extracts. The antioxidant study revealed that the methanolic extract showed significant antioxidant activity than the others which indicate that methanol extract played an essential role in biological activities. Thus, Diospyros melanoxylon could be effectively employed as an ingredient in health or functional food to alleviate oxidative stress and related health benefits. INTRODUCTION: Bioactive compounds obtained from plants possessing a new mode of action, with specific targets; and safer could represent as a valid alternative strategy for the oxidative stress-related disease. Recently, bioactive compounds, especially from plants and herbs, are in the limelight because of their medicinal and biological activities. Therapeutic potential of medicinal plants are naturally attributed to their phenolic content, flavonoids, and they play an apparent role in preventing oxidative associated stress 1. Polyphenols are common constituents of the human diet, the possible health benefits of polyphenol consumption have been suggested to derive from its antioxidant properties 2. Plants form the earliest companion of mankind by providing food, shelter and by serving humanity in the cure of different ailments. Medicinal plant drugs can be placed into two broad categories. Firstly, they are included in complex mixtures containing a wide variety of compounds, and secondly, they are used as pure, chemically defined active principles 3. India is the largest producer of medicinal herbs and is appropriately called the botanical garden of the world 4. Approximately 20% of the plants found in the world have been submitted to pharmaceutical or biological tests 5. Numerous researches suggest that a wide variety of phytochemicals, such as phenolics and carotenoids, can prevent or slow down oxidative stress-induced damage leading to cancer 6. Recently, there has been considerable interest in continuing research, and basic scientific research starts now to cover the mechanism underlying these plants exert their therapeutic effects 7. Antioxidants are health beneficial compounds that prevent oxidative stress-related diseases such as cell aging, cardiovascular diseases, mutagenic changes and cancer 8. Oxidative stress is a common phenomenon in several psychiatric diseases; the imbalance between free radicals and antioxidants leads to tissue damage 9. 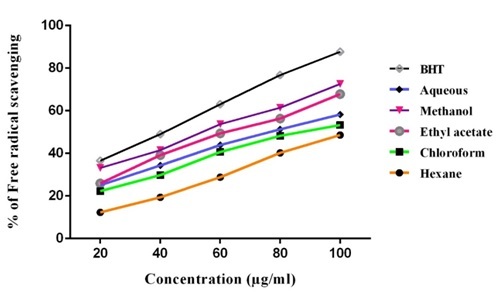 There are many methods available to measure the antioxidant ability, but most of the researchers prefer in-vitro assays as they differ in antioxidant characteristics of the compound/extract 10. The antioxidant defense systems including superoxide dismutase, catalase, glutathione peroxidase, non-enzymes defense glutathione, vitamins C and E play an important role in scavenging free radicals and preventing cell injury 11. Worldwide antibiotic resistance has turned the attention of researchers and pharmaceutical industries towards naturally derived compounds because plants serve as rich, natural and safer sources of antimicrobial drugs 12. A general recommendation to the public is to increase the intake of foods rich in antioxidant compounds due to their well- known health effects. Reactive oxygen species (ROS), such as superoxide radicals (O2-) and hydroxyl radical (-OH) have been associated with carcinogenesis, coronary heart disease, and many other health issues related to advancing age 13, 14. This has led to an accelerated search for antioxidant principles, the identification of natural resources, and the isolation of active antioxidant molecules. The medicinal applications of Diospyros melanoxylon have not been given a scientiﬁc base. Hence, the present study investigates the phytochemical constituents, in-vitro antibacterial and antioxidant property of the plants. This study aimed to assess the nutraceutical potential of D. melanoxylon leaves in the context of bio-accessibility and bioavailability of their secondary metabolites. Chemicals: Ammonia solution, ammonium acetate, ascorbic acid, butylated hydroxytoluene (BHT), chloroform, conc. sulphuric acid, disodium hydrogen phosphate, DMSO (Dimethyl sulfoxide), EDTA solution, ethyl acetate, ethylenediamine tetraacetic acid (EDTA), ferric chloride, ferrous ammonium sulphate (FAS), Glacial acetic acid, Griess reagent, HCl, hexane, Libermann -Buchard reagent, Mayer’s reagent, methanol, Molisch’s reagent, Mueller Hinton Agar (MHA), nitro blue tetrazolium (NBT), phosphate buffer, sodium hydroxide, trichloroacetic acid (TCA) and 2,2- diphenyl-1-picrylhydrazyl (DPPH). All the chemicals and reagents were of analytical grade and manufactured by S.D. Fine Chem Ltd., Hi-media, Loba Chemie, Nunc, and Sigma Aldrich. Collection of Plant Material: Fresh and young leaves of Diospyros melanoxylon were collected from Paranur, Chengalpattu District, Tamil Nadu, India; it was identified and validated by Dr. P. Jayaraman, Department of Botany, Presidency College, Chennai, India. A voucher specimen of the plant (PJMPSNO.03421) was deposited at CAS in Botany, University of Madras, Chennai. Preparation of Plant Extracts: The leaves of D. melanoxylon were washed repeatedly with running tap water and distilled water to remove the dust and shade dried at room temperature (26 ± 2 ºC) for 10-15 days. The dried leaves were coarsely powdered using pulverizer. The leaf powder of 100 g was taken in a Soxhlet apparatus with different solvents such as hexane, chloroform, ethyl acetate, methanol, and water. Then the extracts were concentrated using rotary evaporator (Heidolph, Germany) under reduced pressure and the residues were stored in amber colored glass vials at 4 ºC for further use 15. The extraction process was repeated thrice, and the total yield of extracts was recorded and tabulated. Preliminary Screening of Phytochemicals: Screening for the presence of active phytochemicals in leaf extracts of D. melanoxylon was carried out using the standard method 16. Test for Alkaloids: For 2 mL of leaf extract, 2 mL of conc. hydrochloric acid and few drops of Mayer’s reagent were added. The appearance of green color or white precipitate indicated the presence of alkaloids. Test for Anthraquinones: For 1 mL of leaf extract a few drops of 10% ammonia solution was added, the appearance of pink color precipitation indicated the presence of anthraquinones. Test for Carbohydrates: For 2 mL of leaf extract, 1 mL of Molisch’s reagent and few drops of conc. Sulphuric acid was added. The appearance of purple or reddish color indicated the presence of carbohydrates. Test for Flavonoids: For 2 mL of leaf extract, 1 mL of 2 N sodium hydroxide was added. The appearance of yellow color indicated the presence of flavonoids. Test for Glycosides: For 2 mL of leaf extract, 3 mL of chloroform and 10% ammonia solution was added. Formation of pink color indicated the presence of glycosides. Test for Phenols: For 1 mL of the leaf extract, 2 mL of distilled water followed by a few drops of 10% ferric chloride was added. Presence of blue or green color indicated the presence of phenols. Test for Quinines: For 1 mL of leaf extract, 1 mL of conc. Sulphuric acid was added. The appearance of red color indicated the presence of quinones. Test for Saponins: For 2 mL of leaf extract, 2 mL of distilled water was added and vortex in a graduated cylinder for 15 min. Formation of 1 cm foam layer indicated the presence of saponins. Test for Tannins: To 1 mL of leaf extract, 2 mL of 5% ferric chloride was added. The appearance of dark blue or greenish black indicated the presence of tannins. Test for Triterpenoids: For 1.5 mL of leaf extract, 1 mL of Libermann-Buchard reagent (acetic anhydride + conc. sulphuric acid) was added. The appearance of blue-green color indicated the presence of triterpenoids. Test for Steroids and Phytosteroids: For 1 mL of leaf extract equal volume of chloroform and few drops of conc. Sulphuric acid was added, the appearance of the brown ring indicated the presence of steroids and formation of bluish-brown ring indicated the presence of phytosterols. Quantitative Phytochemical Analysis of D. melanoxylon (Leaves): Quantitative analyses of phytochemicals were carried out using standard methods, and the results were expressed (mg/g) in one gram of leaf extracts of D. melanoxylon. Gas Chromatography-Mass Spectrometry Analysis (GC–MS): GC–MS analysis was carried out by GC SHIMADZU QP 2010 system at Sargam laboratory, Chennai, Tamil Nadu. Gas chromatography coupled with Mass spectrometer (GC–MS) equipped with elite one fused silica capillary column (30.0 m: length, diameter: 0.25 mm, film thickness: 0.25 mm is composed of 100% dimethyl polysiloxane) was used. The electron ionization energy of 70 eV helium gas (99.9%) was used as carrier gas at a constant flow rate of 1.51 mL/min, and an injection volume was employed (split ratio: 20). The injector and ion source temperature was maintained at 200 °C. The oven temperature was programmed from 70 °C (isothermal for 2 min), with an increase to 300 °C for 10 min. Mass spectra were recorded at 70 eV; at a scan interval of 0.5 seconds with a scan range from 40-1000 m/z. Total GC running time was 35 min. The percentage of each component was calculated by comparing its average peak area to the total area (GC–MS solution ver. 2.53). In-vitro Antibacterial Activity: Antibacterial activity of the bioactive compound was determined using agar well diffusion method. The most common human pathogenic bacteria were obtained from IMTECH, Chandigarh. The bacterial cultures Acinetobacter baumannii (ATCC 17978), Bacillus subtilis (ATCC 19659), Salmonella typhi (ATCC 19430) and Staphylococcus aureus (ATCC 25923) were maintained in Mueller Hinton Agar (MHA) slants and used before assay. Preparation of Inoculum: The obtained bacterial cultures were sub-cultured on nutrient agar and incubated at 37 ºC for 24 h, and the microorganisms were repeatedly subcultured to obtain pure isolation. They were inoculated into nutrient agar slants and stored at 4 ºC. Further, the overnight broth culture of respective bacterial cultures was adjusted to a turbidity equivalent to 0.5 McFarland standards (0.2 mL culture of organisms were dispensed into 20 mL sterile nutrient broth and incubated for 24 h and standardized at 105-107 CFU/ml adjusting the optical density to 0.1 at 600 nm). Procedure: Antibacterial activity of different plant extracts was determined using agar well diffusion method. 0.1 mL of active growth culture was poured over the feeder layer and spread evenly using a sterile spreader. The 6 mm diameter well was made using a sterile cork borer. Each well received different concentrations (10, 25, 50 and 100 µg/mL) of extracts. Appropriate control was maintained, and the plates were incubated at 37 ºC for 48 h. After incubation, the inhibition zone was measured. Preliminary Phytochemical Screening of D. melanoxylon: Preliminary screening of leaf extracts of D. melanoxylon revealed the presence of different active phytochemicals. Among them, methanolic extract possessed maximum phytochemicals such as alkaloids, carbohydrates, cardiac glycosides, flavonoids, glycosides, phenols, quinones, saponins, steroids, tannins, terpenoids and triterpenoids whereas, coumarins and cyanins were absent Table 1. Similarly, ethyl acetate extract also possessed most of the phytochemicals except coumarins and quinones. But, comparatively lesser phytochemicals were present in chloroform, hexane and aqueous extract. The presence of alkaloids, flavonoids, and phenols in the methanolic leaf extracts of D. melanoxylon might provide credence to its local users to control the oxidative stress-induced ailments. Phytochemicals are the most efficient and reliable compounds. Consumption of flavonoids reduces the risk of cardiovascular diseases and cancer 21. The results obtained in the present study was comparatively significant compared to previous studies 22. Earlier reports have demonstrated that; chloroform extract exhibited sesquiterpene and triterpenes. Similarly, 23 reported chloroform extract of T. rosea possessed only carbohydrates, flavonoids, phenols, steroids and terpenoids. But in the present study, the presence of glycosides, terpenoids, and a moderate presence of carbohydrates, flavonoids, phenols, and coumarins was evident. Overall, the combination of phytochemicals found in D. melanoxylon along with flavonoids, alkaloids, and phenols make them a possible source of medicine as a curative remedy for oxidative stress-related diseases. Quantitative Phytochemical Analysis of D. melanoxylon (Leaf): The quantitative screening of D. melanoxylon revealed a higher quantity of phytochemicals based on the polarity of the solvents used. Among the 5 extracts, methanolic extract exhibited considerably higher flavonoid content 25.6 mg/g, followed by alkaloids 19.4 mg/g, phenols 17.5 mg/g, and carbohydrates 6.64 mg/g when compared to other solvent extracts. The smaller quantity of phytochemicals was observed in hexane followed by aqueous extract Table 2. Presence of various phytoconstituents validated the use of D. melanoxylon for several ailments by traditional practitioners. It is evident that; methanol and ethyl acetate solvents are effective to isolate the active biological compounds due to their high polarity. Based on the phytochemical analysis, methanol extract exhibited better results; hence it was selected for further studies. Flavonoids and phenols are health beneficial compounds for mankind, due to their wide biological activities. Flavonoids belong to the group of polyphenolic compounds, typically known for health promoting properties such as antioxidant, anti-allergic, anti-inflammatory, antimicrobial and anticancer properties. Quercetin, a flavonoid derivative which occurs in most of the plants, retained a very good antioxidant capacity as well targeting as anticancer substance; hence, currently, it is being used as an important food source 24. Phenols and its derivatives are bioactive compounds which primarily acts as natural antioxidants to scavenge free radicals, ferrous ions, single oxygen quenchers and it has multifunctional pharmacological properties 25. 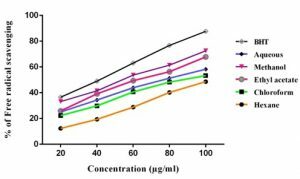 DPPH Assay of D. melanoxylon: In this assay, free radicals were scavenged by the different extracts in a concentration-dependent manner within the range of 20-100 µg/mL Fig. 1. The scavenging activities ranged from hexane (15.59-59.81), chloroform (18.56-66.83), ethyl acetate (17.49-69.88), methanol (36.88-76.32) and aqueous (15.51-62.29) respectively. The best free radical scavenging activity was exerted by methanol extract followed by ethyl acetate, chloroform, aqueous and hexane extracts. Antioxidants scavenged free radical through the donation of a proton forming the reduced DPPH. The color changed from purple to yellow after the reduction. It was reported that the flavonoid molecules with polyhydroxylated substitutions on rings A and B might have contributed to the maintenance of DPPH as well as superoxide. These results are in agreement with the reports, who stated that methanol showed better recoveries and is specifically effective in extracting polyphenols. Thus, the polarity of the solvents played a major role in the extraction of the antioxidants. The medicinal properties of plants have been investigated in the light of recent scientific developments throughout the world, due to their potent pharmacological activities, low toxicity and economic viability 26. Phenolics are secondary plant metabolites which are ubiquitously present in plant products and also have several biological activities 27. Superoxide Radical Scavenging Activity: Superoxide radical scavenging activity of the extract of aerial parts was concentration-dependent Fig. 4. 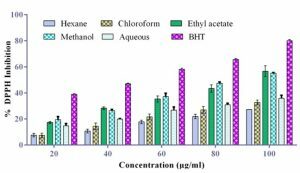 Among the extracts, ethyl acetate extract was found to be a better scavenger (83.13), than hexane (29.91), chloroform (41.54), methanol (68.27) and aqueous (44.38) respectively at 100 µg/mL. In this work, different solvents were used for extraction with different polarities which probably extracted different classes of compounds. Various polyphenolic phytochemicals might react with superoxide radicals in different ways, depending on its chemical structure, and thus lead to different scavenging activities. Phytochemicals have long been recognized to possess many properties including antioxidant, anti-allergic, anti-inflammatory, antiviral, antiproliferative and anti-carcinogenic 28. Thus, continued research is being undertaken all over the world on different plant species and their therapeutic principles 29. Hydroxyl Radical Scavenging Assay: The percentage of H2O2 scavenging activity of D. melanoxylon and BHT were Fig. 5. Increased scavenging activity (52.50-60.89) in ethyl acetate and (54.62-55.60%) in methanol extract was obtained approximately 50%. 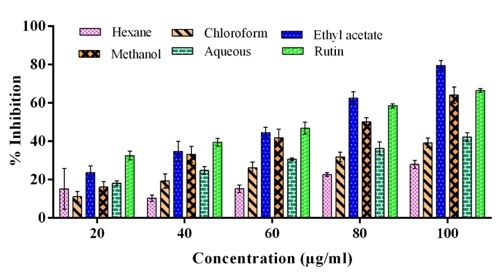 Other solvent extracts exhibited relatively lower scavenging activities viz: hexane (23.38-27.20), chloroform (30.71-34.47) and aqueous (33.37-38.20) respectively. This present finding revealed that the scavenging effects of different extracts were less significant to those of BHT (nearby 79.57%). 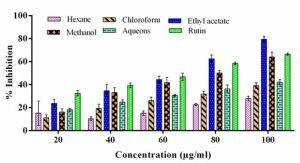 The results indicate that ethyl acetate extract of D. melanoxylon has moderate H2O2 scavenging activity. H2O2 is practically not very reactive and harmless, whereas it may spread easily through the cell membranes. Many medicinal plants contain a large amount of antioxidant s such as polyphenols, which can play an important role in absorbing and neutralizing free radicals, quenching singlet and triplet oxygen or decomposing peroxides 30. In developing and less-developed countries, traditional plant-based medical applications and pharmaceutical products have been common amongst poor communities since ancient times 31. Phenolic compounds, mainly flavonoids, proved to have the capacity of regulating proliferation and cell death pathways leading to cancer 32, through different mechanisms including cell growth and kinase activity inhibition, apoptosis induction, suppression of the secretion of matrix metalloproteinases and invasive tumor behavior, as well as angiogenesis impairment 33. Antibacterial Activity: Evaluation of antibacterial activity of D. melanoxylon (5 different solvent extracts) was carried out using the disc diffusion method. The plant extracts showed a zone of inhibition ranging from 6 to 19 mm against the tested bacteria. Methanolic extract responded as well for the antibacterial activity against Gram-negative bacteria (6-19 mm). When compared to other tested organisms E. coli responded well for methanolic extract of D. melanoxylon. However, in this study, the plant extract was effective against both Gram-positive and negative bacteria suggesting the presence of a broad spectrum of antibiotic compounds or simply general metabolic toxin in the plant extract 34. There is considerable interest in the screening of plant and other natural product extracts in modern drug discovery programs, since structurally novel chemotypes with potent and selective biological activities 35, 36, 37. CONCLUSION: In conclusion, it can be specified that tested plant extracts and their compounds have a strong antioxidant and antimicrobial activity in-vitro. Based on these results, D. melanoxylon appears to be excellent natural antioxidant and antimicrobial agents and also could be of signiﬁcance in the forthcoming days to control and treat various diseases in the human being. Further studies should be warranted to isolate and identify new compounds from the methanol extract of D. melanoxylon that exhibit strong antioxidant and antimicrobial activity. ACKNOWLEDGEMENT: I K. A. Supriya would like to thank Prof. Dr. Lali Growther, Assistant Professor and Head, Department of Microbiology, Hindusthan College of Arts and Science, Coimbatore - 641004 for providing the laboratory facility to carry out this research work as successful. Newman DJ and Cragg GM: Natural products as sources of new drugs over the last 25 years. Journal of Natural Products 2007; 70: 461-477. Benmeddour Z, Emira M, Meurlay L, Dominique and Louaileche H: Phenolic composition and antioxidant capacities of ten Algerian date (Phoenix dactylifera) cultivars: A comparative study. 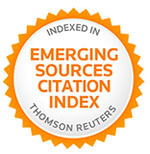 Journal of Functional Foods 2013; 5: 346-354. Jaleel AC, Gopi R, Gomathinayagam M and Panneerselvam R: Traditional and non-traditional plant growth regulators alters phytochemical constituents in Catharanthus roseus, Process Biochemistry 2009; 44(2): 205-209. Alesiani D, Canini A, D’Abrosca B, DellaGreca M, Fiorentino A, Mastellone C, Monaco P and Pacifico S: Antioxidant and antiproliferative activities of phytochemicals from Quince (Cydonia vulgaris) peels.Food Chemistry 2010; 118(2): 199-207. Venuprasad MP, Kandikattu HK, Razack S and Khanum F: Phytochemical analysis of Ocimum gratissimum by LC-ESI–MS/MS and its antioxidant and anxiolytic effects.South African Journal of Botany 2014; 92: 151-158. Doughari JH, Ndakidemi PA, Human IS and Benade S: Antioxidant, antimicrobial and antiverotoxic potentials of extracts of Curtisia dentata, Journal of Ethnopharmacology 2012; 141(3): 1041-1050. Borges G, Mullen W and Crozier A: Comparison of the polyphenolic composition and antioxidant activity of European commercial fruit juices. Food & Function 2010; 1: 73-83. Kumar, Suresh, Nair P, Ganesan, Kumar, Sinaga, Melese, Letha, Neethu, BanuGani and Sharmila: Preliminary phytochemical screening of different solvent extracts of leaves of Echeveria elegans Rose, an endangered Mexican succulent herb. Journal of Global Biosciences 2016; 5: 3429-3432. Killedar SG, More HN and Nadaf SJ: Microscopic evaluation of leaves of Memecylonum bellatum Burm,” Advances in Agriculture 2014; 6: 6. Murugesan S, Pannerselvam A and Tangavelou AC: Phytochemical screening and antimicrobial activity of the leaves of Memecylonum bellatum burm. F. J Appl Pharm Sci 2011; 1: 42-45. Rodrigo R, Miranda A and Vergara L: Modulation of the endogenous antioxidant system by wine polyphenols in human disease Clinica Chimica Acta 2011; 412: 410-424. Vinod G, Hanumanthappa KM, Suvarna MNV and Rashmi T: In-vitro antimicrobial activity and preliminary phytochemical investigation of Anisomeles malabarica from Western Ghats, Karnataka. Int J Sci Eng Res 2014; 5: 681- 684. Yadaiah G, Joshi P and Oza B: Traditional knowledge of wild medicinal plants of Baria forest division, Dahod district, Gujarat state. Indian Formulations 2011; 137: 812-821. Elangovan K, Kumar S, Kandhasamy M and Rajamani A: Screening of phytochemicals and in-vitro antioxidant activity of Evolvulus alsinoides 2013; 2: 230-234. Mohammed AA, Khalil AA and El-Beltagi HES: Antioxidant and antimicrobial properties of Kaffmaryam (Anastatica hierochuntica) and doum palm (Hyphaene thebaica). Grases Y Aceites 2010; 61(1): 67-75. Bbayzaithanpuiihmar, Mishra S and Pradhan RC: Physicochemical, mechanical and antioxidant properties of Diospyros melanoxylon Current Research in Nutrition and Food Science 2017; 127-132. Al-Rashid H, Mandal V, Mandal S, Thandavarayan RA: Diospyros melanoxylon in cancer prevention, pharmacological Screening, Pharmacokinetics and Clinical Studies 2017; 4(7); 217-223. Patrakar R and Ghiware N: Review on phytochemical and pharmacological aspects of melanoxylon; 2017; 64-73. Devarajbharathi, Seerangarajvasantharaj D and Bhuvaneshwari: Biosynthesis of silver nanoparticles using stem bark extracts of Diospyros montana and their antioxidant and antibacterial activities 2018; 8: 83-92. Madhav DAM: Antimicrobial studies on plant-based Diospyros melanoxylon extracts 2014; 120-124. Al-Rashid H, Mandal V, Mandal S, Thandavarayan RA: In search of suitable extraction technique for large scale commercial production of the bioactive fraction for treatment of diabetes: The case Diospyros melanoxylon 2017, 118-124. Murali M and Prabakaran G: Effect of different solvent system on antioxidant activity and phytochemical screening in various habitats of Ocimum basilicum (Sweet basil leaves. International Journal of Zoology and Applied Biosciences 2018; 3: 375-381. Rajarajan PN, Rajasekaran KM and Devi NKA: Antimicrobial activity and phytochemical analysis of Anisomeles malabarica (L.) R. Br. on aflatoxin producing fungi. J Sci 2014; 4: 371-376. Sangeetha S, Mani D, Nagaraj S, Sathiavelu M and Arunachalam S: Antioxidant activity and phytochemical analysis of Datura metel. 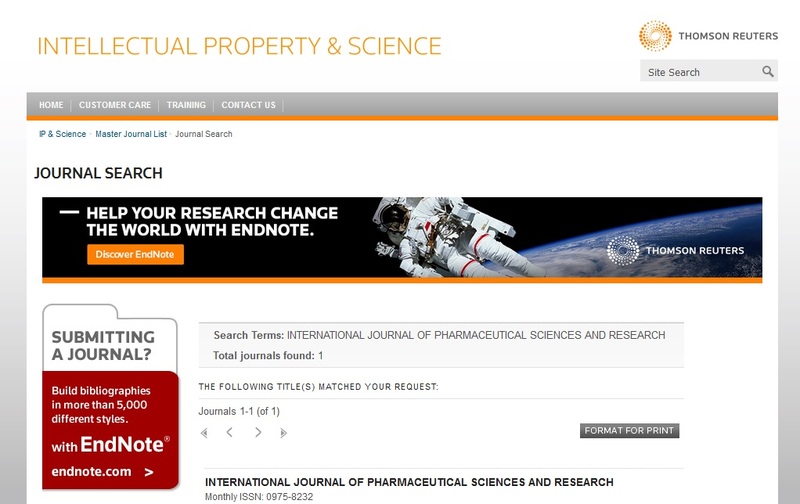 International Journal of Drug Development and Research 2014; 3: 74-79. Sriramamurthy K, Reddy MC and Pullaiah T: Ethnobotany, chemistry and pharmacology of an Aromatic Genus Anisomeles in India International Journal of Life science & Pharma Res 2015; 5: 34-47. Supriya KA and Growther L: In-vitro antioxidant and antibacterial activity of different extracts of Diospyros melanoxylon Roxb. Int J Pharm Sci & Res 2019; 10(4): 1820-27. doi: 10.13040/IJPSR.0975-8232.10(4).1820-27.